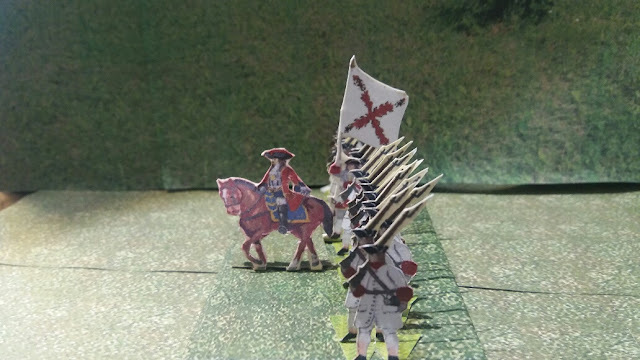 I have to confess I keep in my bureau about 20.000 papersoldiers. They are really in every single spot of it and so also in my meeting room; so, by chance a client of mine pop in last Friday and saw them; she liked them very much and requested me to have a "little gift" i.e. some papersoldiers. Considering she is - as origin - from Napoli, I had to find something really appropriate. 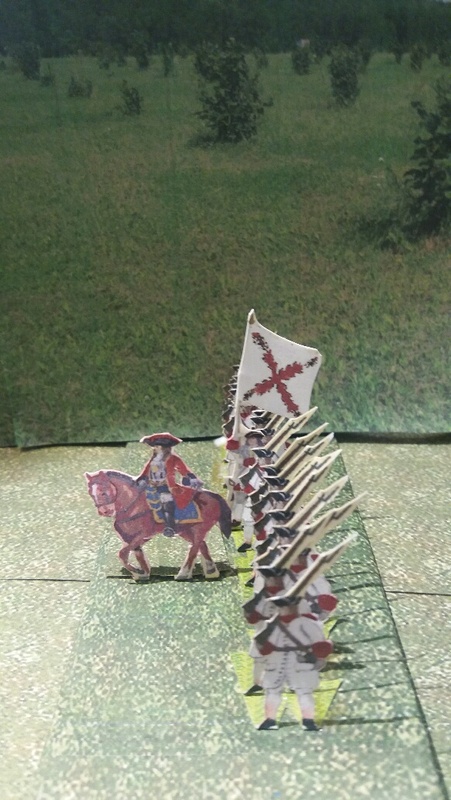 So here I came out with the idea to gift this little formation, together with the Ordonnance colours of the Spanish Regiment "Napoli" that fought at the Battle of Turin on 7th September 1706. Obviously, considering they are going to leave me, I had to sign and attach to this unit also the "lettre" to give the command of this troops to my Client. 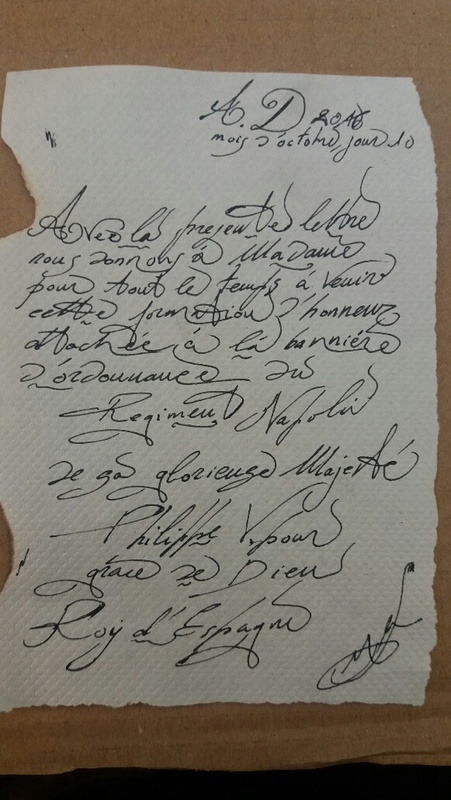 Avec la présente lettre nous donnons à Madame pour tout le temps à venir cette formation d'honneur attachée à la bannière d'ordonnance du Régiment "Napoli" de sa glorieuse Majesté Philippe V pour grâce de Dieu Roy d'Espagne"